A Little Bit of the Old. A Little Bit of the New. At Tiger Drive-In we are bridging the gap between our classic past and our bright future. There used to be over 5,500 drive-in theaters worldwide and now we are one of only 349 left . . . providing you a unique place to make memories that you simply can’t find anymore. 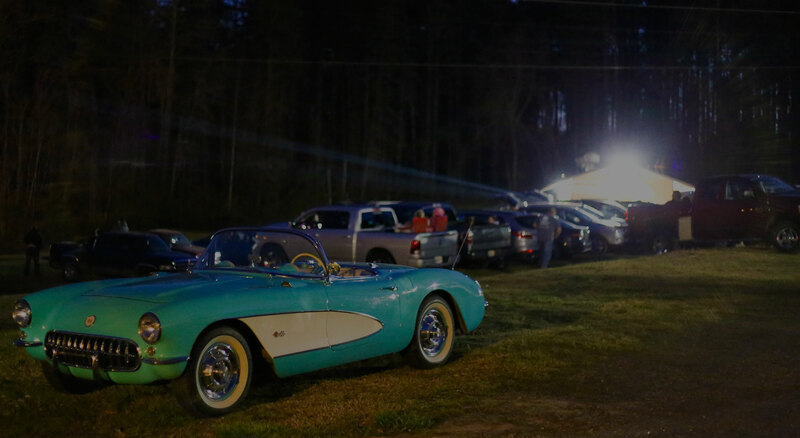 Experience the movies from your car like the “old days” but with the benefits of all of our modern amenities with our modern and high quality digital projection. We have all grass terraces, FM broadcasts, outdoor speakers, Pandora pre-show music, Wi-Fi, and the delicious TDI Grill. Even better, we accept Credit Cards, are pet friendly, have a playground for the kids and so much more! So bring your picnic blanket or cozy up in your car. We’ll be here waiting on you! We pride ourselves on being as creative and as flexible as you are when it comes to events. We offer a variety of special event and group packages that are sure to make your next gathering one to remember. So whether you are looking to do something classic like a birthday party or you want to have a creative rehearsal dinner and play your own movie for your closest family and friends, we can do it. We want to be a part of your next event whether there are five of you or five hundred. Contact us today for details! Our new Vintage camper we named “The Flamingle” is open for rent on Airbnb. $99 a night plus a $40 cleaning fee. Includes two movie tickets, outdoor shower and bathroom, coffee and light breakfast. Our new Vintage camper we named “The Disco Daze” is open for rent on Airbnb. $89 a night plus a $40 cleaning fee. Includes two movie tickets, outdoor shower and bathroom, coffee and light breakfast.